Lowest priced 2 family home on the market! Great opportunity for handy person OWNER OCCUPIED unit with rental unit to help pay the mortgage. MULTI-GENERATIONAL LIVING with first floor unit for easy accessibility. Also great for INVESTORS for steady rental income; maybe a future condo conversion? On a nice side street with sidewalks located so close to downtown, parks, walking trail, commuter routes: bus station, routes 495 & 95. 1st floor unit has 2 bedrooms, applianced kitchen, full bath, new paint, carpets and wood laminate flooring. 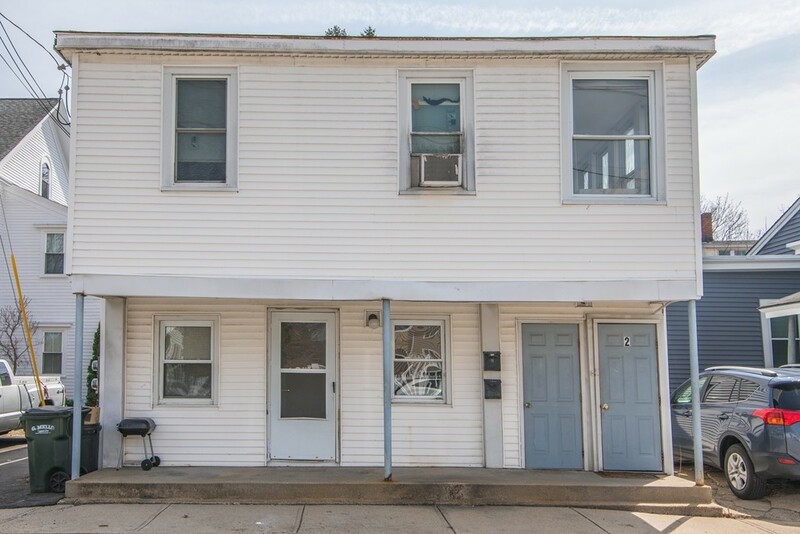 2nd floor unit features 2 bedrooms, applianced kitchen, full bath and laundry room with washer/dryer included. Great investment property, positive rental history. Full unfinished basement. Separate utilities. Needs TLC/updating. CURRENT RENTS ARE VERY LOW BELOW MARKET RENTS; could be MUCH higher, seller has had long time good tenants that are friends of the family. Sold with or without current tenant 30 TAW. in/Sold "as is". No yard.